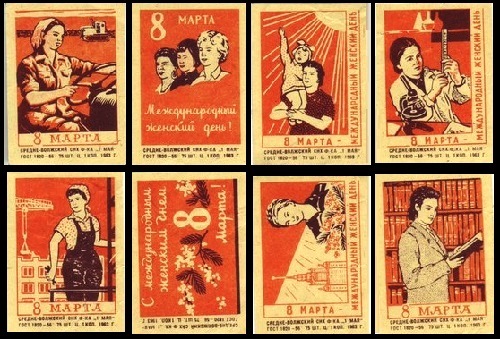 Undoubtedly, collecting matchbox labels, known as Phillumeny, was one of the most favorite hobbies for the Soviet people. In the late 1950’s – early 1960’s in major cities of the USSR appeared Phillumeny sections in the frame of collectors clubs. And, in many cases, philatelists of All-Union Society of philatelists officially supervised phillumenists. Meanwhile, in the Soviet Union, Phillumeny heyday lasted for two decades – 1960-1980. In particular, it was the Balabanovo match factory, located in Moscow suburbs, which printed labels for the majority of match factories. In addition, they produced special kits for phillumenists – 100 labels in the set, as well as souvenir sets. Besides, the Baltic factory produced the similar kits, but with their own labels. At the end of 1980 the production of sets for collectors stopped. In part, due to the transition of many factories for the production of matches in cardboard rather than in veneer boxes. After 1991, Phillumeny craze began to decline, and most Phillumeny sections ceased to exist.